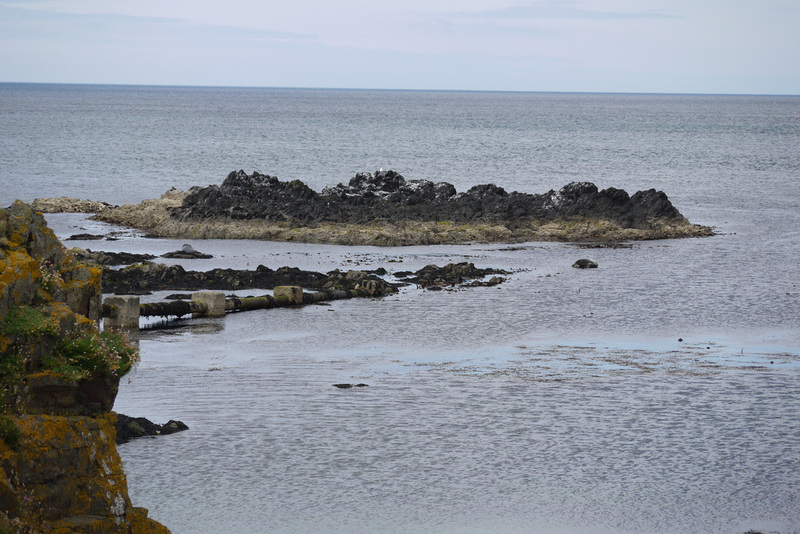 A mine near Machrihanish supplied coal for the whisky industry, and a canal was built to link it to Campbeltown in 1794, but had been abandoned by 1865. In 1876 a railway was opened to replace the canal, and in 1906 this was developed into a Light Railway carrying passengers between Campbeltown and Machrihanish - it survived until 1934. 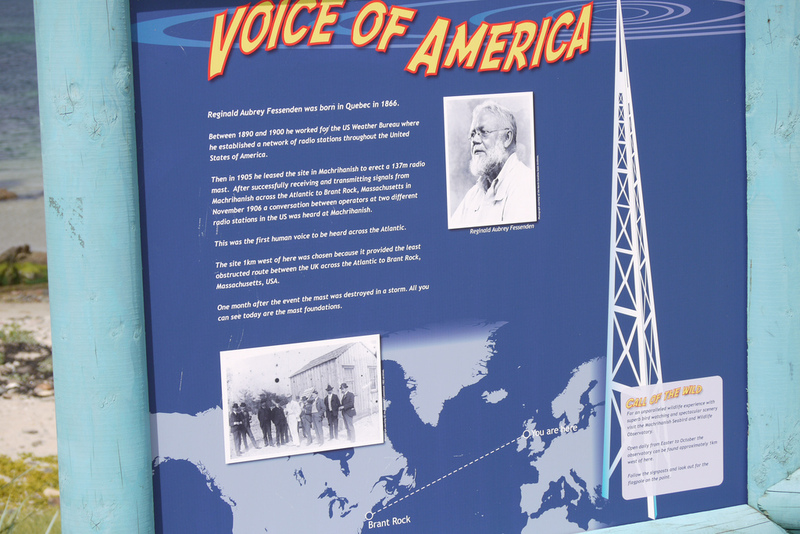 Machrihanish was the site of a radio mast erected in 1905 by Reginald Aubrey Fessenden and he achieved two way transmission of Morse code across the Atlantic for the first time, and later unexpectedly the Machrihanish mast detected speech from across the Atlantic. The mast was destroyed in a storm in 1906 and never rebuilt. The bars in Machrihanish will supply you with whisky, but if you want a better selection your best bet is only 5 miles away in Campbeltown, which was once known as Scotland's Whisky Capital. Only 3 distilleries now compared with 34 in its heyday, but that's three more than most towns! 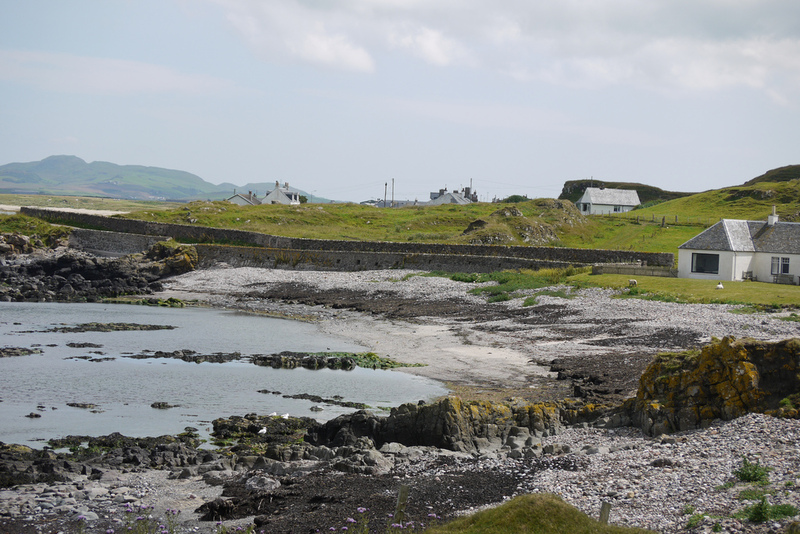 Machrihanish is 5 miles back across the peninsula from Campbeltown, close by Campbeltown Airport (formerly an RAF base which accounts for its lengthy runway - the second longest in Europe). 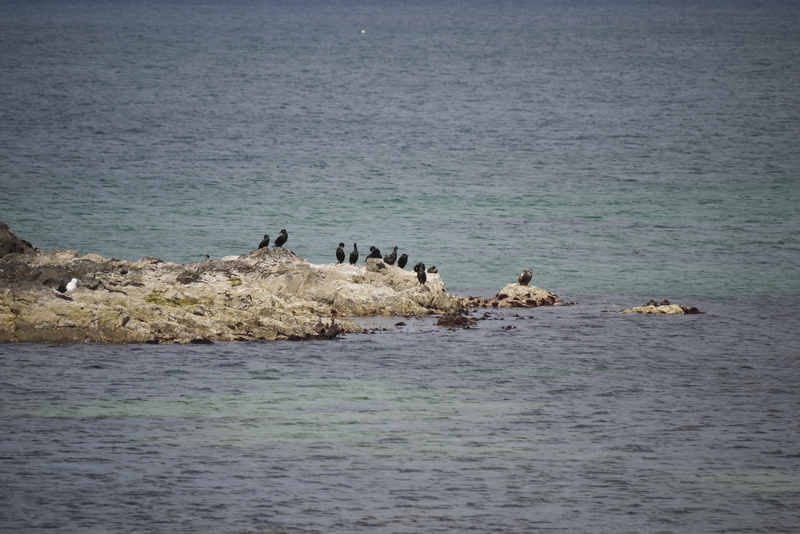 Machrihanish has a Seabird Observatory at Uisaed Point which is open to the public and provides an opportunity to see the local wildlife up close (or examine the N Ireland coast if you prefer) and find out about digiscoping - attaching digital cameras to telescopes. 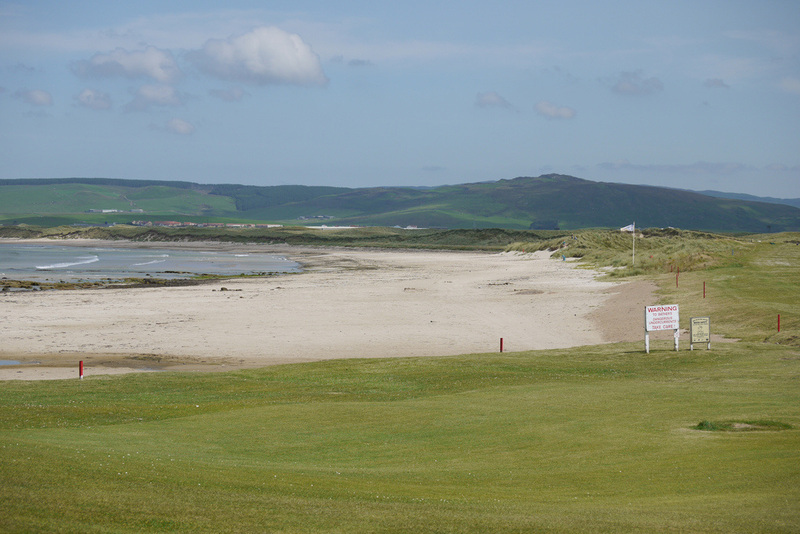 Machrihanish golf course was designed by Old Tom Morris, and its first hole is famous for requiring a drive across the sea from the tee to the fairway. 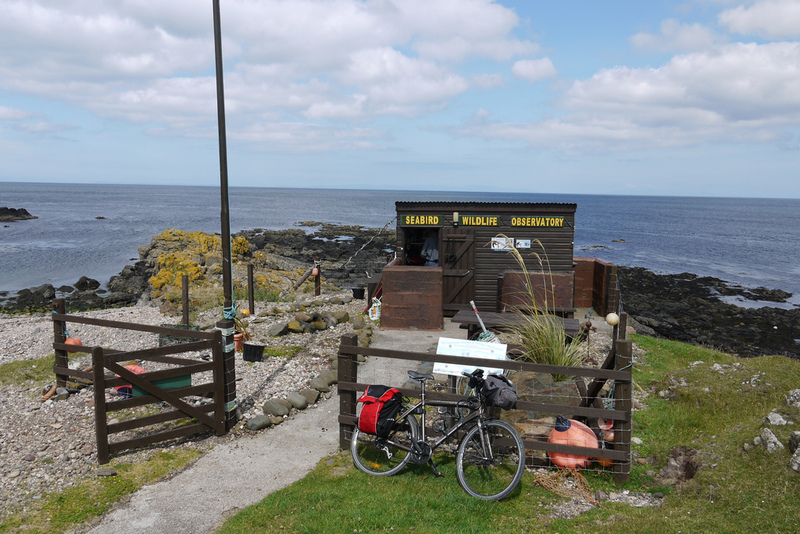 The Kintyre Way leads south from Machrihanish, but returns to the road before reaching the Mull. 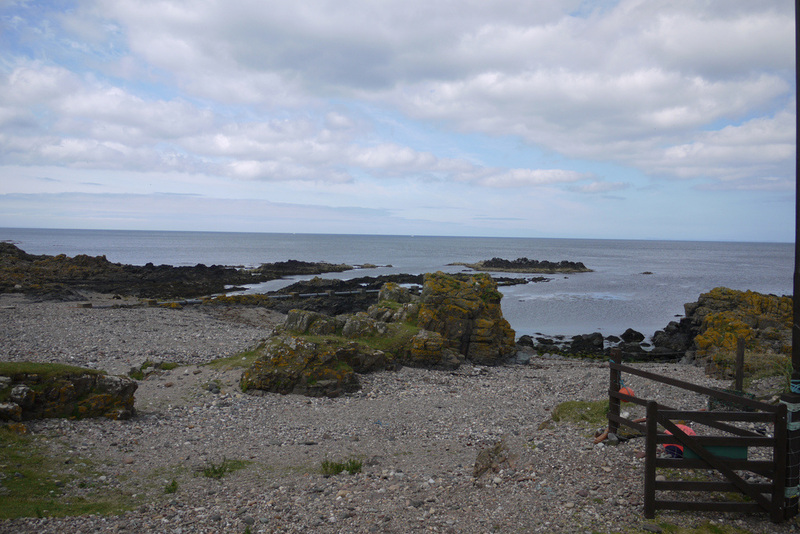 Machrihanish is 6 miles from Campbeltown. Campbeltown Airport is served by scheduled Flybe (0871 700 0535) flights from Glasgow Airport. As above. The Old Clubhouse Pub and Ugadale Hotel share the same phone number as they are both part of the Village at Machrihanish Dunes, which also owns the Royal Hotel in Campbeltown. Check PO Branch finder (search for postcode PA28) for opening times.